Warm&ToteAnything else is just a brown paper bag! Pack some "Delicious" for lunch. Welcome to Warm & Tote. Works great hot or cold. What about good ole' grilled cheese on multi-grain toast. Tuna melt, chips and fig newtons. It's your lunch...Eat for Life! Have Amazon Prime? Want FREE Shipping? Get the WT Newsletter! Sign up here! Also available on Amazon Prime! There's nothing more disappointing than heading to the office or back to school, only to discover that the warm grilled cheese or cold drinks you brought along taste horrible because they aren't the right temperature. 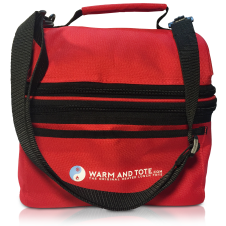 That's why we created Warm and Tote heated lunch bags, lunch boxes and heat packs designed to keep food, snacks and beverages the idea temperature so you can enjoy your favorites no matter where your busy schedule takes you. Packs sandwiches, wraps, burritos and pizza slices unlike other systems. 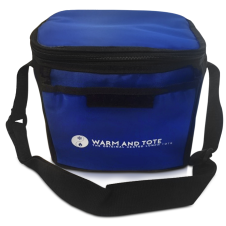 Food stays cold and retains temperature a full 8-10 hours. No batteries, plugs or wires! Perfect dietary solution for Diabetic and Celiac needs. Certified non-toxic and easy to clean. Product lasts for years, based on customer testimonials. Get out and go! Great for the on-the-go lifestyle. Proudly serving families for over 20 years! Food stays cold and retains temperature a full 5 hours. Food stays cold for a full 8-10 hours. Food stays warm for up to 5 hours. Mega-storage for snacks and drinks! Our Best Sellers...kid tested, Mom approved! 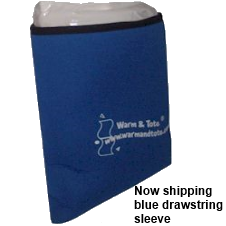 It's HOT and COLD All in ONE Bag! Our Best Design EVER! For the small appetite. Still perfect for hot or cold.